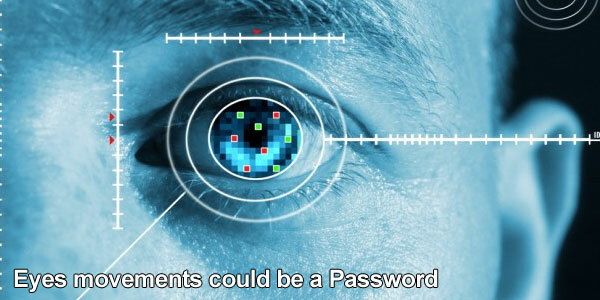 Home Technology Security Eyes movements could be a Password? Computer scientists and researchers from all over the world are studying on biometrics for crime solving for a high level security place. The biometric is a measurement of something in the body. For instance, fingerprints used to identify people. Now the new biometric system that can identify people from their eyes while looking at a computer screen or camera. This research is in its earliest stages and needs years to work. Oleg Komogortsev, a computer scientist at the Texas State University, is working on the fact that no two people look at the world at the same time. For instance, when two people looking at the picture their eyes among points of interest in different sequences. However, he thinks that eye movements could be a part of the next generation biometric scan, which is already used in some airports and in private companies. Komogortsev’s development is on earliest stage and needs more years of work but he hopes that eye-movement sensor could help a lot in future. Komogortdev’s system records the two features of eye movement. First, the system measures Fixations, the time when people linger their gaze over a point on screen. Secondly, it measures Saccades, the fast movements of the eye when it flies between points. He considers both the exact path that people’s gazes from those movements; the system calculates unique properties about people’s eyes. In future, through this eye-movement scans system the security officials could determine if someone is ill or emotionally distressed. People’s eye-movement patterns stay the same all over the time. The People’s ID system updates their ID system as they age. He presented his work along with his colleagues in September at a biometrics conference hosted by the Institute of Electrical and Electronics Engineers. As on the other side, the Indian Government takes an initiative to create a unique ID for every Indian resident but not smart cards. Unique Identification Authority of India will issue a 12-digit unique number for all residents in India. This number will be stored in a centralized database linked to the basic biometric information. For instance, photographs, ten fingerprints and iris. Through this India can control on illegal immigration and other high security issues.